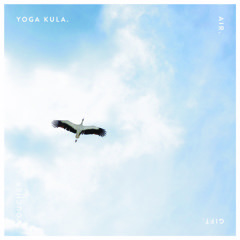 Kula Christmas Gift Guide - Yoga Kula. With Christmas just one week away we thought we would help you finish (or start) your Christmas shopping. We have compiled a list which is suitable for regular yogis, the absolute beginner, the ‘just getting into yoga’ and many more loved ones in your life (including you!). At Yoga Kula we offer pop up therapies in our beautiful studio. The studio is dimly lit, heated and is a haven for the therapy of your choice. 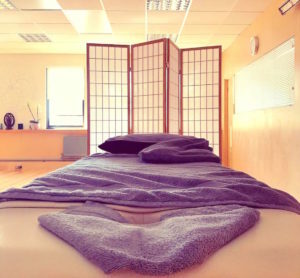 We offer therapies on Monday, Tuesday and Thursday afternoons including Sports and Remedial, Reflexology, Ayurvedic, Pregnancy and Post Natal, Thai Yoga Massage, Thai Yoga Pregnancy Massage and Thai Foot Massage. Our yoga beginners courses have been running successfully for several years. 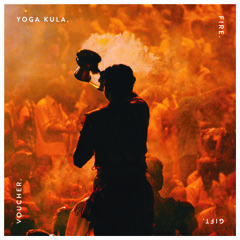 Our students leave the course with knowledge, understanding and confidence to begin regular yoga classes at Kula. Our beginners courses run over 6 weeks, with one class a week to allow students time to digest and reflect on what they have learnt. We have three courses running in January, two of which are fully booked and one on 11th January with space available – be quick because this will book up quickly. We also have courses running continually throughout the year. Read more here. Having your own yoga props can seem like such a luxury, especially when there are plenty at the studio. However, we believe that when you have your own props at home it encourages you to develop a home practice alongside your studio classes. If having a bolster encourages you to enjoy more relaxation by resting in a restorative pose with your knees on the bolster, then we think this is the perfect Christmas gift for you or a loved one. Our Inner Strength & Warm Core yoga workshop is taking place in the New Year on Sunday 7th January at 11am. For this workshop the studio will be gently heated to 26 degrees Celsius using our infrared heaters. Infrared heat has many health benefits including healing bodily tissues, improving circulation, detoxifying the body and even boosting collagen levels. We will bring our awareness to the core and learn how to use these muscles in your yoga practice as well as everyday life. Explore how and when to activate the deep core stabilisers through traditional yoga methods and other more contemporary principles. We carefully select products in our shop that we think you will love and The Anatomy Coloring Book is included because it is quite simply incredible. 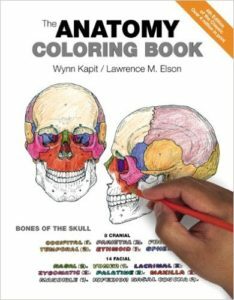 For more than 35 years, The Anatomy Coloring Book has been the #1 best-selling human anatomy coloring book. This is such a useful tool for anyone with an interest in learning anatomical structures. 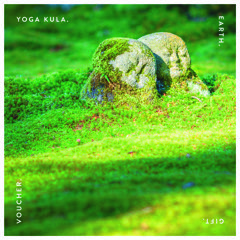 A perfect gift for someone embarking on the Yoga Kula teacher training course in January. The book contains concisely written text features precise, extraordinary hand-drawn figures that were crafted especially for easy coloring and interactive study. This is such a thoughtful and unique Christmas gift. 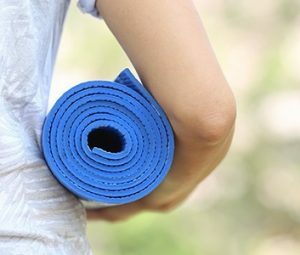 A yoga mat is truly a perfect Christmas gift for either someone beginning their yoga journey or someone who is already practicing. 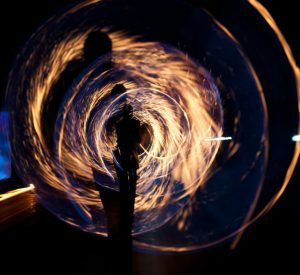 Did you know that every time you practice yoga you generate energy and this energy goes directly into the yoga mat. Owning your own yoga at means you keep this energy flow to yourself for your next practice. For anyone who has said they really want to try yoga then this is the perfect gift. Rather than paying for a drop in, this £50, 10 class pass gives the new student 3 months to try a range of classes in their own time to get to grips with which classes they prefer. Have you seen our beautiful gift vouchers? We have four designs to choose from and you can select any amount you would like. 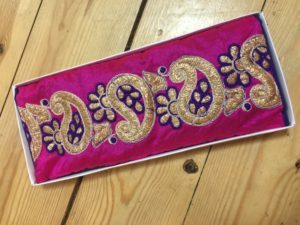 A lovely gift which allows the recipient to choose what they would like to spend it on. A therapy? A yoga mat or perhaps a workshop? There are some incredible products you can buy to help soothe the body after yoga and a busy week, and we particularly love this Yogandha Muscle Soothe Warm. With its foresty tones of Ginger & Marjoram which revives tired limbs, we think it is a perfect soothing oil to use after your yoga practice. Yogandha Muscle Soothe Body Oil is an indulgent blend of 7 healing oils with multi-layered therapeutic benefits expertly blended to deeply warm & revive the body. Sounds delightful. We close for the Christmas holidays on Thursday evening, 21st December. But we are running two workshops over the festive break. Ho Ho Holiday Hatha which is sold out and Slow Flow Ashtanga, taking place on 30th December. Our Slow Flow Ashtanga workshop encourages students to adopt a mindful Ujjiyi breath, which will settle the mind and allow the body to mould more easily into postures. The practice will be sealed with an extended and nourishing savasana and a sound and gratitude meditation, guaranteed to leave you feeling centered, calm and content. A perfect gift for someone who wants to practice over Christmas. Some people find it difficult to relax and completely and let go in savasana on particular days and other days it comes easily. But did you know savasana (final relaxation) is the most important part of the yoga practice? And sometimes it can be the most challenging! Did you know that an eye bag aids your relaxation in several ways? It shields the eyes from light – covering the eyes blocks out any glare from light which might keep your mind racing. An eye bag relieves tension and eye strain because the weight of the flax seeds ensures the perfect amount of acupuncture to release tension from the cheekbones, forehead, temples, and neck. It calms the mind – we add lavender oil to our eye bags at the Kula studio, this adds a nourishing sense of calm as you relax deeply into your well-earned savasana. For those students looking to enhance their practice and take the next steps, this workshop is just for you. 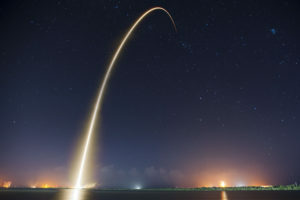 Our Rocket & Restore workshop combines the dynamic and energetic Rocket practice with a deep and well-earned relaxation. Rooted in the Ashtanga system, Rocket is a strong, quick sequence that combines elements of the primary, second and advanced series to create an uplifting, fun and challenging flow that will raise your heart rate, whilst building stamina, strength and flexibility. There will also be time for arm balances and inversions with lots of modifications to help support you at whatever stage you are at on your yoga journey. We’ll end the session with half an hour of guided meditation to allow you to completely unwind and relax after this strong practice. Whatever you chose to purchase for the one you love, or whatever the one you love buys for you be sure to be grateful, spend time with loved ones and relax. You deserve it.